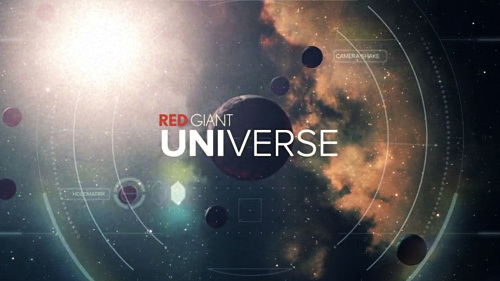 Red Giant Universe v1.4.0 Premium CE (Win64) — An expanding library of tools for filmmakers & motion designers that gives access to fast and powerful tools for editing, filmmaking, visual effects and motion design. Every tool in the Universe library of effects and transitions is GPU-accelerated, and works across multiple host applications including: After Effects and Premiere Pro. The Universe library of tools is continuously growing - new effects and transitions are added regularly, and existing tools are updated often, based on user feedback. Red Giant Universe 1.4- A new update to Universe that includes new free and premium tools, and Hitfilm 3 Pro support. In total there are 8 new tools (4 free and 4 premium), bringing the Universe library to 89 effects and transitions. Some of my favorite tools in this release include Texturize, Knoll Light Transitions, and Soft Edge Wipe (a free tool that was created based on the voting in Universe Labs). Knoll Light Transitions: A transition that uses animated Knoll Light Factory flares, with 20 unique presets to quickly move you from shot to shot. Includes control over brightness, angle and edge feathering, and a choice of a dissolve or linear wipe transition. Texturize: Quickly give your footage a Walking Dead-style grungy textured treatment. Texturize’s seamlessly tiling textures make it easy to animate and bring life (or death) to your video or still imagery.